When I think of "BeWooden", a lot of emotions are triggered in my mind - I associate it with the traditions and values ​​that unite the whole company. When I hold this unique product in my hand, I imagine the creative team working together to develop it, I think about the steps in the manufacturing process and how happy they are when they can try this new product for the first time. 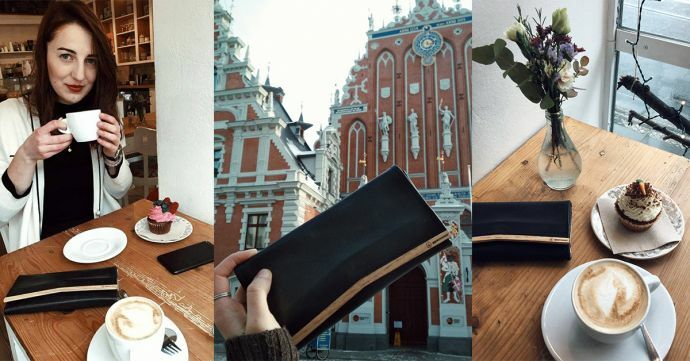 The women’s wallet can tell its own story. I feel honored to have had the opportunity to test it as one of the first. Finding a product that meets all our needs is almost impossible today. Not only do we expect the products to be of high quality and practical. Our accessories must be beautiful, elegant, unique and stylish. We want others to notice our sense of detail. The BeWooden women's wallet has all of this to offer - all these qualities I can confirm with a clear conscience. I can throw my wallet into my backpack, but it's also small enough to stow it in my little purse. 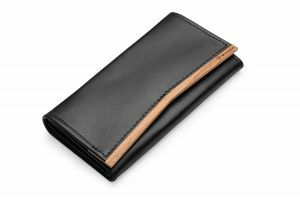 If I want to leave the house without a purse, I do not have to go without my phone or my keys - both fit perfectly into the BeWooden women's wallet. It is absolutely timeless and is suitable for everyday life as well as festive occasion: it's the icing on the cake and makes an outfit perfect. How are the prices composed? As soon as you talk about the price, it is always about the quality. I always try to explain to my friends, that every BeWooden product has come a long way, using true craftsmanship in every step. For a BeWooden product, you can rely on the quality of the material and its origin. The BeWooden wallet has been around for almost four years. Since the first version, there have been countless variations to bring joy to as many people as possible. Every BeWooden employee respects the tradition and values ​​of true craftsmanship. For all of them, their work is a matter of the heart - they give this joy to the products. How do you like the wallet after half a year of use? After half a year, my wallet has accompanied me on many trips, whether in the mountains or in various cities, to parties or for a coffee at a café. The leather is beautifully soft, adapts and smells as good as it did at the beginning. The fine folds and patterns on the leather are not flaws, but the characteristic features of the natural material - a wallet with authenticity. And what is my overall impression? If you lovingly care for the BeWooden women's wallet, this product will last a long time - it combines elegance and functionality. I would almost say that it is perfect for every woman. Having met all my expectations, I can only recommend it. The workmanship, the design, the handmade production and the genuine leather. I love it when functionality and a modern look are combined. For me, that's perfection! 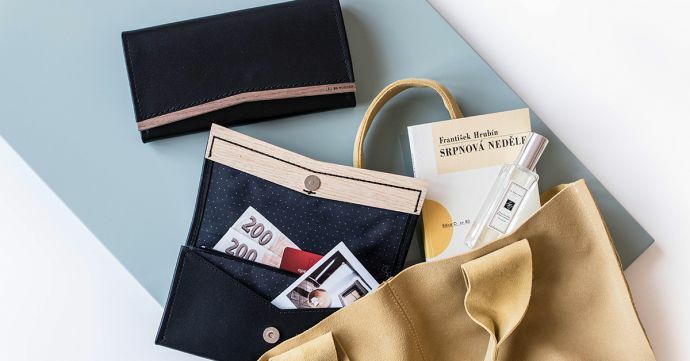 Look at all BeWooden women's wallets and choose the right one for you. A unique piece of wood and genuine leather become an elegant ladies' accessory. Through traditional Czech craftsmanship and careful manual processing, we achieve an exceptionally high quality. In addition to the design, we also care about the functionality of the wallet. 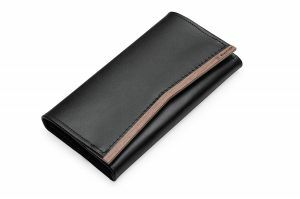 Not only coins and 12 cards fit in the 20 cm wooden wallet - three additional pockets provide enough space for a phone and the keys. 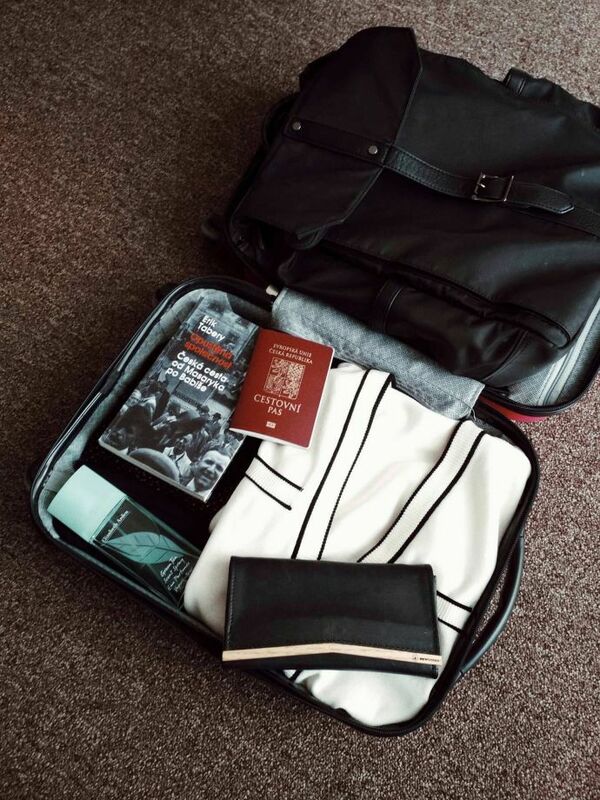 You can always carry everything important with you.